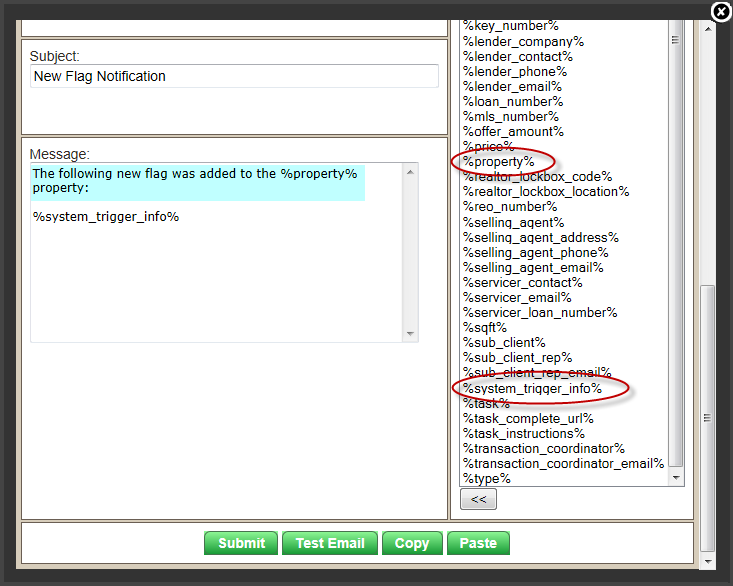 You can set up the Broker Brain system to notify desired individuals each time a new property flag is created by generating an Automatic Email Notification Auto Task. The email notification will include information on the color of the new flag, as well as whatever information was typed into the Flag Description field. The task Type should be set to Task & Email Notification, as shown below (highlighted in yellow). 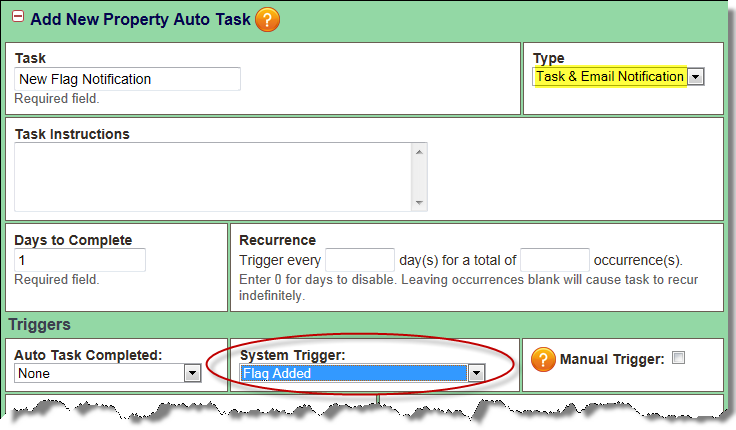 You must set the System Trigger field to Flag Added, shown circled below.